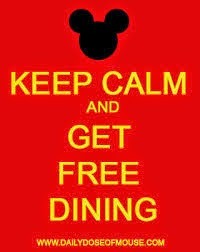 I'm Your Fairy Godmother: Free Dining IS COMING!!! 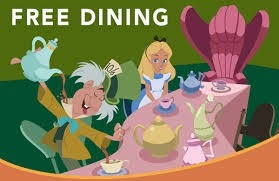 Looks like free dining will be released on 4/27 for Visa cardholders and 5/1 for the general public. I don't know all the details about which resorts are included and on which dates..we will have to wait for the official announcement for those details. If you already have a trip booked with me and dates apply to your trip I will be able to apply the discount to your trip. If you haven't booked yet, lets do it ASAP for the best dining options. Fill out the form at the top of my blog and lets get started! !